Being an only child, Spalding Quibble was used to ruling the roost and being the centre of attention at home. But things drastically change when his parents bring home a new baby brother. In response to this new family member, Spalding lashes out in a series of unprovoked attacks on his family. But as time goes on Spalding’s baby brother learns to walk, talk and show Spalding how much he loves him. The pair slowly become friends, and Spalding realises that being a big brother is not so bad after all! 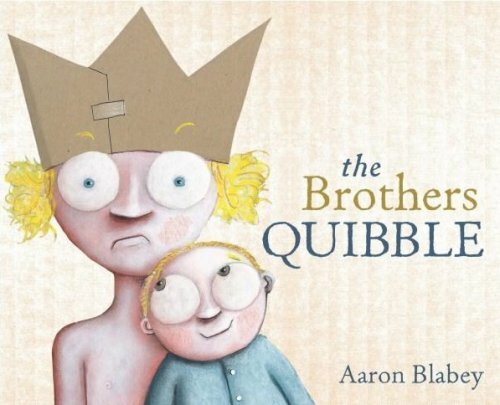 The Brothers Quibble is a rhyming book packed with dramatic illustrations to depict the main character’s negative feelings as he adjusts to a new baby in his family. The expressive illustrations make this book an ideal choice for targeting the tricky task of drawing inferences from body language and facial expressions. This book is written in past tense and has multiple repetitions of the pronoun ‘he’ so choose this book if you’re working on any of these grammar goals. For further speech and language goals to target in The Brothers Quibble, see the list below.